Having followed the White Rabbit down his rabbit hole, Alice finds herself in Wonderland, surrounded by curious creatures and with no idea of how to return home. From the Caterpillar to the Chesire Cat, tea with the March Hare, the Hatter, and the Dormouse to the ultimate croquet match with the Queen of Hearts, Alice’s Adventures in Wonderland has enchanted readers since its publication in 1865. 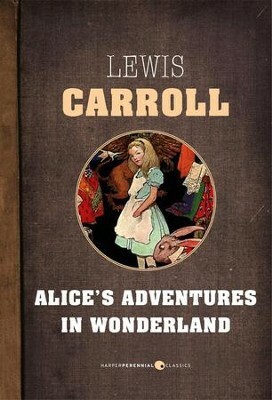 Written by Lewis Carroll (born Charles Lutwidge Dodgson) for young Alice Liddell, Alice’s Adventures in Wonderland was inspired by a boat trip the author took with Alice and her family during which he spun outlandish tales for Alice and her sisters to pass the time. I'm the author/artist and I want to review Alice's Adventures in Wonderland - eBook.